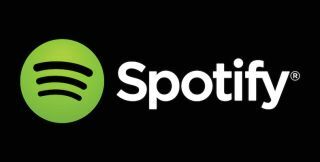 Spotify files to go public on New York Stock Exchange | What Hi-Fi? According to the company's prospectus, private transactions in Spotify shares put its value at as much as $23bn. Spotify Technology (to give the company its full name) yesterday filed notice of its intention to go public on the New York Stock Exchange, as reported by bloomberg.com. Spotify, which is celebrating its 10th birthday this year, has reported impressive year-on-year revenue growth: in 2017, revenue was a reported $5bn, up almost 39 per cent on 2016. And there are other impressive numbers attached to the ubiquitous streaming service. It claims 159 million active users, of which 71 million are paying subscribers. By the end of last year, the company - which has been the subject of frequent criticism for its perceived short-changing of artists - had paid more than $10bn in music royalties since it launched. But as Spotify's reach has grown, so have its losses. Last year the company reported a net loss of $1.5bn, up from £650 million the year before. By far its biggest outlay is on licenses from music publishers and record companies. Spotify has come a long way in just under a decade. But the testing of its business model in the unforgiving Wall Street environment might be its biggest challenge yet. Is Spotify launching a smart speaker?